Celebrate the coming of Blood-Month with Reaper Bānbreca! Only 50 of him will ever be made and there's just 31 left, so get him before he's gone! Reaper Bānbreca is a numbered, strictly limited edition version of the Bānbreca miniature. You will receive a boxed set containing Reaper Bānbreca himself and a numbered certificate of purchase. Ordering Reaper Bānbreca now is the only way to get hold of him, for once his release date arrives - Saturday the 3rd of November 2018 - he will be removed from our webstore forever, along with all of his different heads. If you want something unique and fantastic for your collection or your host, get hold of Reaper Bānbreca now - before it's too late! The superb skills of our in-house sculptor Bob Płociennik has ensured that the skeleton giants known as Bānbreca and Tower Bānbreca have become some of our most amazing miniatures, and that's saying something. So, as he'll be available until Blotmonað, blood-month, or Hallowe'en as you guys may know it, we decided to bring you another version of him: a version crafted to reap the souls of your enemies on the tabletop, to induce fear into those viewing your display case or perhaps just to kill your surplus cattle ready for winter. 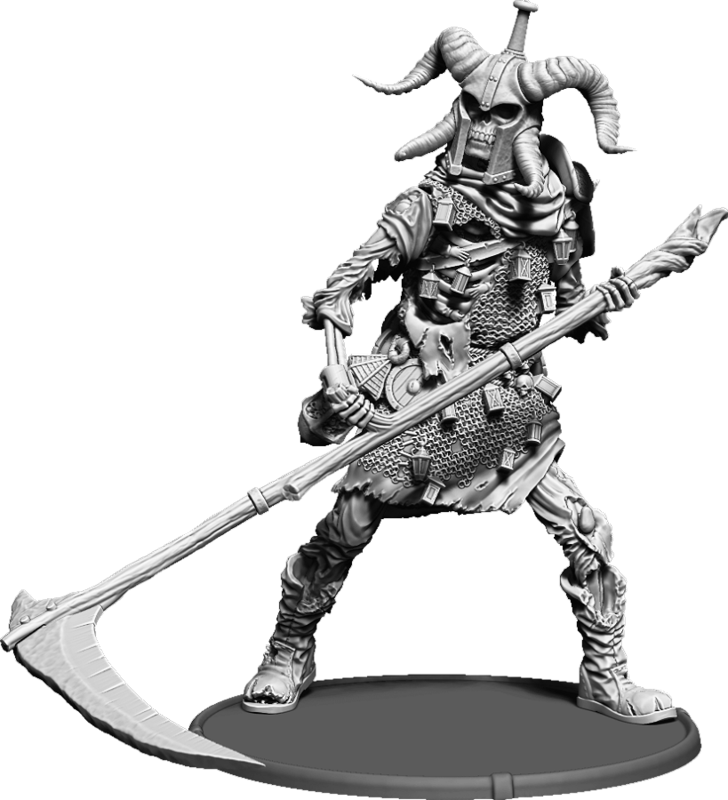 Here's Reaper Bānbreca, an Ettenwiht wielding an enormous scythe that could easily chop Krull in half, never mind your infantry! As if Reaper Bānbreca himself wasn't enough, you also have the choice of four different heads for him - and you can buy the extra heads if you want, perhaps to use on other miniatures! All you need to do is purchase Reaper Bānbreca and when you go through the basket simply input which head you'd like in the "special instructions" box. 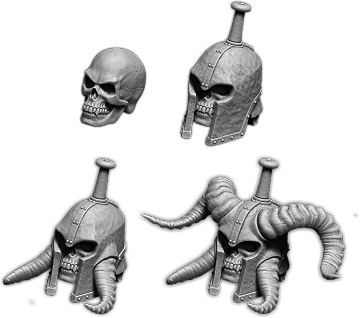 If you don't specify which one, you'll get the standard four horned helmet head. Note that you will have to do a fair bit of modelling to use these heads on the other versions of Bānbreca, as his hooded head is a part of the torso; so bear that in mind before you purchase any! What about the other components? 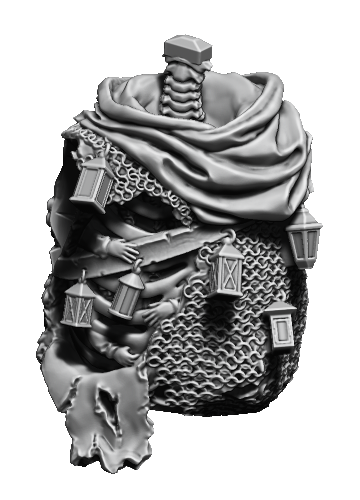 You can also purchase the other components of Reaper Bānbreca, if you wish - they're all there on his page - but please note that only the waist, lantern, booted legs and left arm will fit the other versions of Bānbreca. Everything else you'll have to convert yourself. All of his components will disappear on the 3rd of November, though, so grab them while you can!